Virginia is a diverse state whose motto, “Virginia is for Lovers” helps set the standard for travel. Next time you want to take a romantic trip, consider traveling within your own state but make sure you’re protected with the right kind of car insurance. Maybe you’re traveling to Crabtree Falls to enjoy a morning hike and picnic. The winding country roads are full of wildlife and hitting a deer can cause damage to your car. Having a nice candle lit dinner in Alexandria sounds nice but getting through the NOVA traffic is anything but romantic. Rear-end someone and the entire night is ruined. The main purpose of insurance is to protect you when the unexpected happens. With the number of drivers in Virginia, especially located in the northern area, it’s not a question of if you’ll get in an accident, it’s when. Don’t let a fender bender ruin your weekend with your significant other. When you have a reliable insurance provider, claims are hassle free and you’re back on the road in no time. But choosing one provider can be tough when there are so many in Virginia. Keep reading for advice on how to get the best policy for your needs. There are always going to be certain factors that influence your insurance rates. If you have a bad driving history, expect to pay more. But sometimes, even where you live can have an effect on your rates. Criminal activity and theft is monitored in different neighborhoods and in certain parts of Virginia, car theft is common. Residents living in the D.C. and surrounding areas are especially vulnerable to cart theft, with over 13,000 stolen in 2011 according to the National Insurance Crime Bureau. While moving may not lower your rates by much, it could certainly make you feel more comfortable about parking on the street. Virginia has a unique approach to uninsured drivers. While many states have staunch policies regarding driving without insurance, Virginia has the Uninsured Motorist Fee. If you want to drive but don’t have car insurance, you can pay this fee of $500 and your car will be registered. This may seem like an affordable option for drivers looking to save money but it may come back to haunt you. The Uninsured Motorist Fee doesn’t provide any form of protection and by paying it, you recognize that you’re financially liable for accidents you cause. Small monthly payments for insurance are much more affordable than a lifetime of medical payments. Keep in mind that although there are legal minimum requirements for insurance, it’s always better to purchase a more comprehensive plan. Virginia requires that all drivers maintain financial responsibility at all times. Whether that means paying an Uninsured Motorist Fee or obtaining liability insurance, don’t get pulled over without proof of either. You will likely face suspension of registration and your license and the fees to reinstate both aren’t cheap. You may be required to pay a $500 statutory fee and depending on your driving record, you may be required to file an SR-22 form of insurance. This is coverage for high risk drivers and it costs well above the state average. In the end, it’s not worth it to drive without insurance. At first, the search for insurance can seem daunting but with a little research, it can be easy. If you’re on a time crunch, opt for the standard recommended amount and find a policy that will let you change coverage amounts as needed. Examining the risks you face is a good way to find the right coverage limit. If price is holding you back from purchasing insurance, let off the brake. 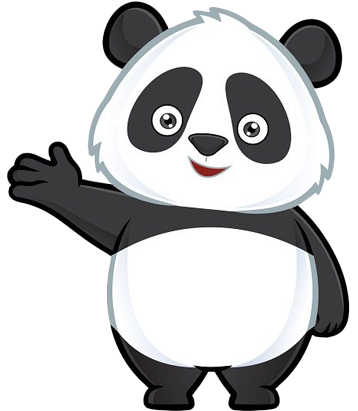 Here at Insurance Panda, we’ve developed a great way for you to find affordable insurance rates right in your own neighborhood. All it takes is a little bit of basic information and our quote comparison tool will provide you with a list of insurance companies with the best rates. All you have to do is pick one!